What's threatening information security in 2011? 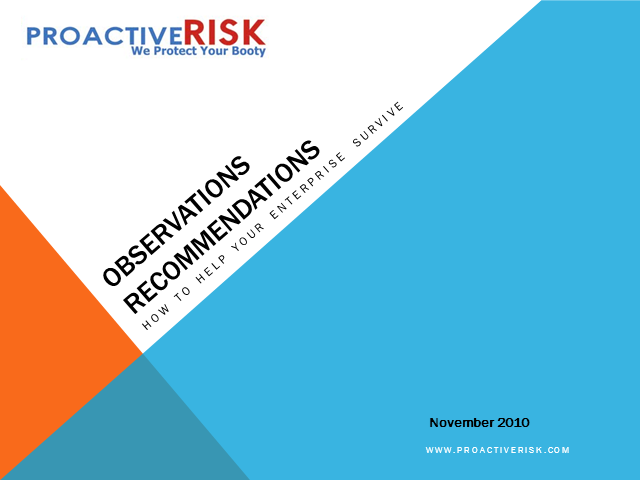 Tom Brennan, CEO of Proactive Risk Inc. will share the top threats to watch out for in 2011 and what you can do to prevent them. Tom Brennan, Global Board Member at OWASP & Founder/CEO at PROACTIVE RISK INC. Presented by: Tom Brennan, Global Board Member at OWASP & Founder/CEO at PROACTIVE RISK INC.